The Compact Board II is part of Axiohm's latest generation of miniprinter interface boards and is designed to drive new mechanism ranges ( CM/RM Premium, MHTA & MGTA ), bringing even higher performances in an ultra compact size! 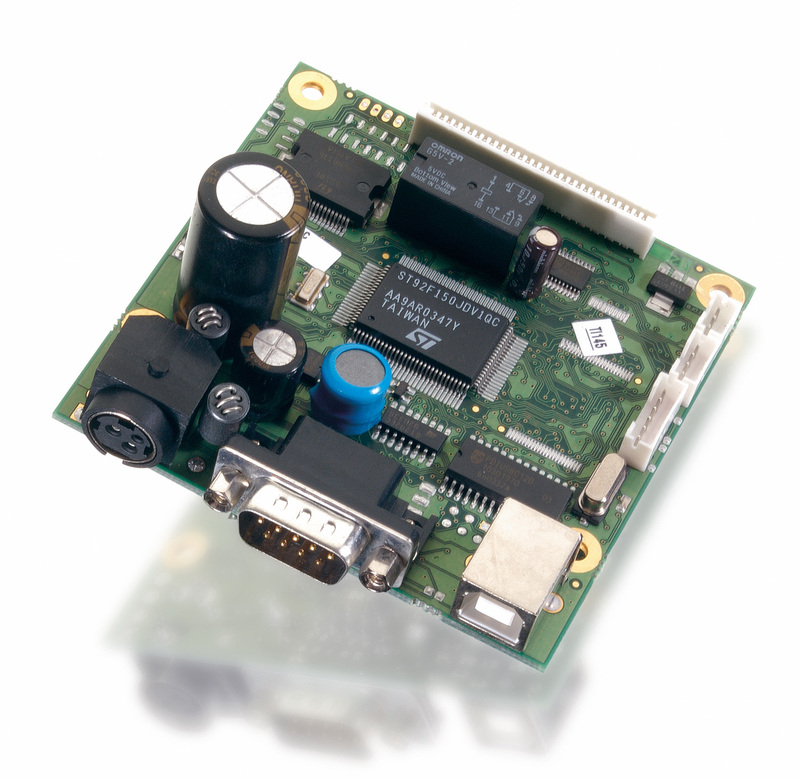 Based on an ARM7 platform (32 bits microcontroller), fully Esc/Pos compatible and available in dual USB and RS232 interfaces, Compact Board II withstands extended temperature range conditions (-20°C / +60°C) to suit the most demanding of applications. It can manage external opto-sensors for low paper or top of form, giving even more flexibility and also features expandable flash memory for user defined logos and fonts. The Chip set (MicroCompII) off the Compact II is also available for full oem integration. For integration into oem equipment demanding; compact, low cost, high speed and quality output onto thermal paper rolls or labels..